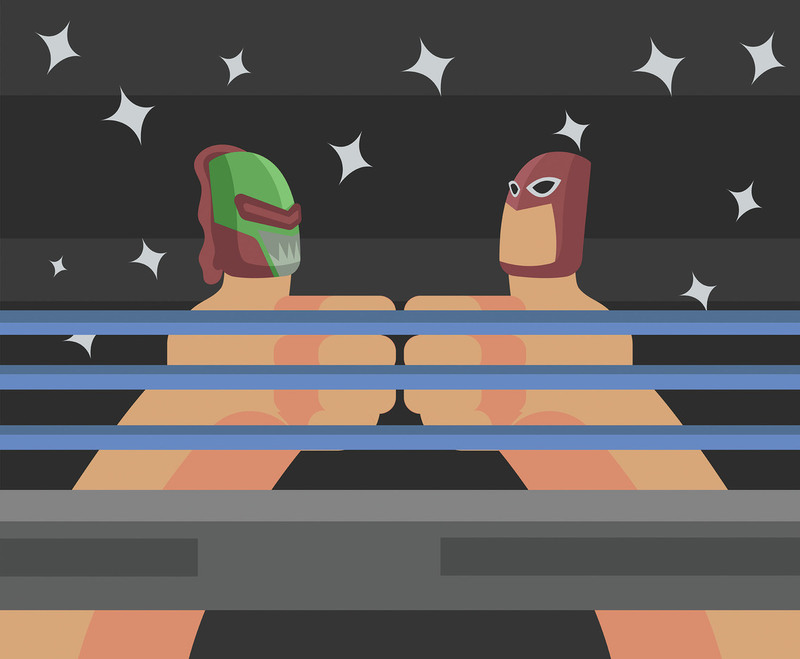 This illustration depicts two thumbs wearing finger puppets resembling wrestlers. I hope it's useful for your projects. Enjoy!